The ‘new’ Beatles album Love was released today. Of course, it’s not really a new album but a collection of classic Beatles songs that form the soundtrack for the new Cirque de Soleil show in Las Vegas of the same name. Disappointed? Don’t be… this is no ordinary compilation album. Love is the Beatles brought into the 21st century by no lesser people than Beatles producer George Martin and his son Giles. 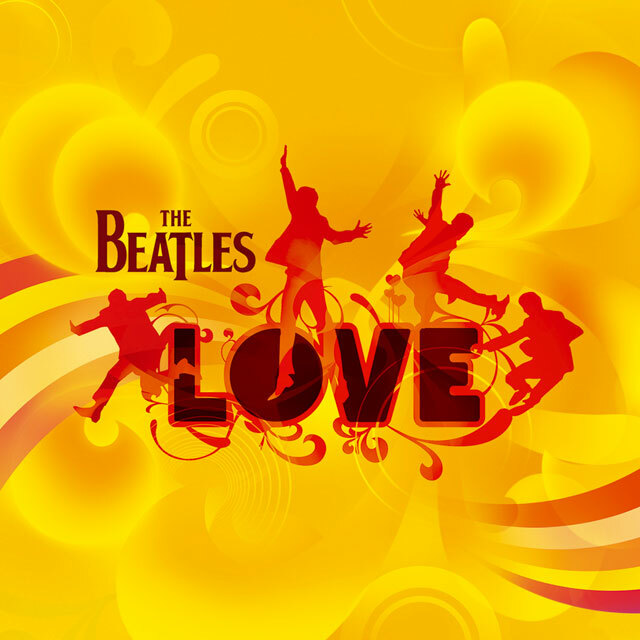 From the track listing Love would seem to contain 26 songs but over 130 songs were used to create the Martin’s ‘soundscape’; a bass line from here, drums from there… Every single sound on the album is from the Beatles back catalogue apart from a new string arrangement for While My Guitar Gently Weeps by George Martin. Love features an acoustic demo of While My Guitar Gently Weeps played by George Harrison. At the request of George Martin’s widow a string arrangement was scored by George Martin and it works perfectly creating a beautiful track allowing the wonderful lyrics to flow and breathe. The Beatles were truly innovative and experimental in the studio and that freedom and creativity has been honoured and brought right up to date on Love. One of the most unusual but clever combinations, or mash-up if you will, is the combination of the lyrics of Within Without You from Sgt. Peppers with the marvellous drums of Tomorrow Never Knows from Revolver. Added to the layers are sitars and tabla from a track I can’t put my finger on right now. It works so well it seems as if it’s always been that way. I grew up with the music of the Beatles and know it fairly well; I agree with Billy Connolly that you are born knowing the words to all Beatles songs. However, if you really know The Beatles this album is gonna be huge fun as audio iSpy… iSpy with my little ear the guitar solo from Taxman. 6 Music had an ‘exclusive’ documentary about the creation of Love tonight. The one thing that struck me was the difference between George and Giles Martin. Giles spoke in terms of ‘great riffs’ whereas George talked in emotional terms like ‘ominous’ and ‘dark’. It seemed to me that George Martin was the heart of this project whereas Giles was the head and Pro-Tools expert.. The Vegas show itself sounds fantastic; taking place in a purpose built indoor circus arena with over 6,300 speakers… with three in each seat. There is a special edition of Love with a Dolby 5.1 surround version which brings a little of the Vegas show to your lounge it seems. Love is a great album; it’s fun, creative and sounds marvellous even in good old fashioned stereo. Definitely one to add to your letter to Father Christmas.